The Fukuoka Ruby and Software Industry Promotion Committee, which works on integrated promotion of the content industry and Ruby-based software industry, will hold the Ruby Content Forum FUKUOKA on August 8 (Wed). 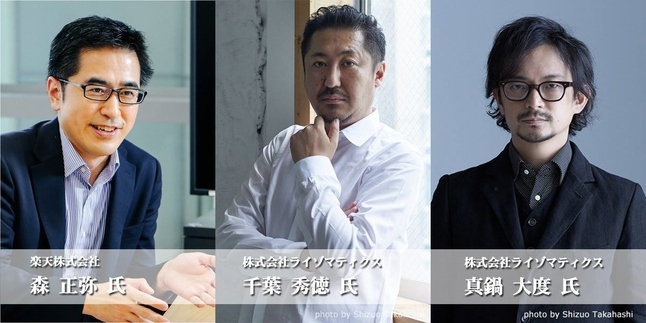 In addition to the awards ceremony for prizes including the Fukuoka Business, Digital, and Content Awards, the forum will also feature lectures. One of the participants will be Daito Manabe of Rhizomatiks, who is famous for producing the flag handover ceremony at the Rio Olympic Games and pop group Perfume, and together with his company colleague Hidenori Chiba he will give a lecture on the theme of “How does a company face an artist?” from the viewpoints of the business side and the artistic side respectively. Masaya Mori, executive officer in Rakuten group and global head of Rakuten Institute of Technology, will also give a lecture on his future vision for research and development, centering on the AI which is being advanced at their research institutes in five countries around the world. This is a lecture by a world famous invited guest. Please be sure not to miss out by coming to join us. How to Apply: Please enter on the Fukuoka Ruby and Software Industry Promotion Committee website. 3. Capacity: 200 people *places will be allocated on a first come first served basis. Once we have reached capacity, no more applications will be accepted. 4. Entry Fee: Free *there is a 4,000 yen charge for the social gathering. Receipts will be available.